The President of India, Shri Pranab Mukherjee has condoled the loss of lives due a bus accident in Kullu District of Himachal Pradesh. In his message to Shri Kalyan Singh, the Governor of Himachal Pradesh, the President has said “I am saddened to learn about the accident in which a bus carrying passengers plunged into river Parvati in Kullu District of Himachal Pradesh. I understand some persons have lost their lives, others are injured and many are missing. Rescue as well as relief and search operations are currently underway. I call upon the State Government and other agencies to provide all possible aid to the bereaved families who have lost their near and dear ones as well as medical assistance to the injured. The President of India, Shri Pranab Mukherjee inaugurated a new AYUSH Wellness Clinic and a restored Clock Tower in Schedule ‘B’ area of the President’s Estate today (July 25, 2015) to mark the completion of the third year of his Presidency. Speaking on the occasion of inauguration of AYUSH Wellness Clinic, the President said that in the three years of his Presidency numerous measures have been taken for the welfare of the residents of the President’s Estate. Government programmes such as financial inclusion schemes, concept of a smart city, Swachh Bharat Abhiyan etc. have been implemented in Rashtrapati Bhavan as soon as the government launched them. The Central Public Works Department has further shown that it can implement projects on time and sometimes, even ahead of time. The President thanked the government and all the staff of Rashtrapati Bhavan for the support extended to him in undertaking various initiatives in the Estate. Keeping in view the emphasis laid by the Government to holistic methods of healing and therapy by Indian systems of medicine & homeopathy, Rashtrapati Bhavan has established the AYUSH Wellness Clinic (AWC) in the President’s Estate. The Clinic will cater to the medical needs of the President, officials of President’s Secretariat and residents of the President’s Estate. The AWC will have treatment facilities in the streams of Ayurveda, Yoga and Naturopathy, Unani, Siddha & Homeopathy under one roof with the assistance of the Ministry of AYUSH. A dilapidated building in the President’s Estate has been renovated and converted into the AWC. The work of renovation was started on March 30, 2015 and completed on July 24, 2015. The clock tower in Schedule ‘B’ area of President’s Estate is a heritage structure built by Sir Edwin Lutyens in 1925. It was known in the past as Band House and used for residential purposes. Restoration work of the Clock Tower has been done by INTACH while repair of Clock has been done by IIT, Delhi. The building was precisely documented and analyzed prior to the restoration work. The restoration undertaken includes preservation of original plaster, Kota stone flooring, repair of conical obelisks, cleaning and painting of fire places etc. as per original design. The President of India, Shri Pranab Mukherjee has extended his greetings and felicitations to the Government and people of the Republic of Maldives on the eve of their Independence Day (July 26, 2015). In his message to His Excellency Abdulla Yameen Abdul Gayoom, the President of the Republic of Maldives, the President has said, “On behalf of the Government and the people of India and on my own behalf, I have great pleasure in extending my warm greetings and best wishes to you and to the friendly people of the Republic of Maldives on the occasion of your Independence Day and completion of fifty years as an independent nation. This year also marks the golden jubilee year of the establishment of diplomatic relations between our two countries. I am confident that the traditional ties of friendship and cooperation that exist between our two countries will continue to flourish in the years ahead. The President of India, Shri Pranab Mukherjee has extended his greetings and felicitations to the Government and people of the Republic of Liberia on the eve of their National Day (July 26, 2015). In his message to Her Excellency Mrs. Ellen Johnson Sirleaf, the President of the Republic of Liberia, the President has said, “On behalf of the Government, the people of India and on my own behalf, it gives me great pleasure to extend warm greetings and felicitations to you and to the people of the Republic of Liberia on the occasion of your National Day. I am confident that our close and friendly relations will continue to strengthen in the years ahead. The Prime Minister, Shri Narendra Modi, today said the nation can no longer wait for the second green revolution, which must come from eastern India. He was speaking at the 87th ICAR Foundation Day Celebrations at Patna. The Prime Minister praised Indian scientists for their work despite budgetary constraints, and emphasized the need for scientific innovations in the agriculture sector to move from "lab to land," so that farmers can benefit from them. The Prime Minister stressed on the need for value addition in agriculture. He mentioned one of the recent episodes of the radio programme "Mann Ki Baat," where he had spoken about the need to increase production of pulses and oilseeds. He expressed happiness that based on data available so far, there appeared to be a huge increase in the sown area of pulses and oilseeds this year. He said India must aim to become totally self-sufficient in the agriculture sector. The Prime Minister presented the ICAR Awards 2014, and launched five ICAR programmes. The Governor of Bihar Shri Keshri Nath Tripathi, the Chief Minister of Bihar Shri Nitish Kumar, the Union Minister for Agriculture Shri Radha Mohan Singh, and Union MoS for Agriculture Shri Mohanbhai Kundariya and Shri Sanjeev Kumar Balyan, were present on the occasion. The Prime Minister, Shri Narendra Modi, today launched various development projects at Patna. He launched the Deendayal Upadhyay Gram Jyoti Yojana; inaugurated the Daniawan-Bihar Sharif new railway line; flagged off the Rajgir-Bihar Sharif-Daniawan-Fatuha passenger train and Patna-Mumbai AC Suvidha Express; dedicated to the nation the permanent IIT Campus at Patna; launched and laid the foundation stone for Incubation Centre for Medical Electronics, Patna; and inaugurated the construction of the first phase of the Jagdishpur-Haldia pipeline project. The Prime Minister said development is the panacea for all problems related to poverty and unemployment. He expressed satisfaction that there is now a general agreement on this aspect, and states are even becoming competitive with regard to development. He said India will progress only through the development of the States, and for this the Centre and States have to work together. Emphasizing the importance of infrastructure, the Prime Minister said the gas pipeline and rail projects which were launched today would provide development and improve the quality of life of the people in the State. He said that if India has to progress, then the development of Eastern India is essential. He also mentioned several road projects that have been approved for Bihar, by the Union Government. The Prime Minister said that IIT Patna, whose new campus was inaugurated today, should also cater to the State's development needs. He expressed hope that the Incubation Centre for medical devices launched at the IIT, would help manufacture medical devices in India to make them easily accessible for all. The Governor of Bihar Shri Keshri Nath Tripathi, the Chief Minister of Bihar Shri Nitish Kumar, Union Ministers Shri Suresh Prabhu, Shri Ram Vilas Paswan, Shri Ravi Shankar Prasad, Shri Dharmendra Pradhan, Shri Piyush Goyal, Shri Upendra Kushwaha and Shri Ram Kripal Yadav were present on the occasion. The Prime Minister, Shri Narendra Modi has congratulated Shri Pranab Mukherjee, on the completion of his 3 years as the President of India. 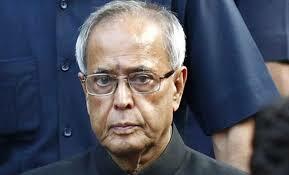 "My congratulations to Rashtrapati ji as he completes 3 years in office. India has greatly benefited from his rich experience and wisdom", the Prime Minister said.